Why Buy a Volkswagen Tiguan Sport 4Motion from Autobarn VW of Countryside? 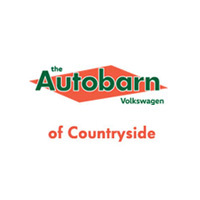 Autobarn VW of Countryside strives to provide a fair and fun buying process. After purchase, you can rely on our factory-trained and certified technicians for all their service needs. Customers from Downers Grove and the surrounding areas can visit our finance department to secure the perfect loan or lease. Our qualified finance personnel will ensure you get the right program at competitive rates. Contact us today to schedule a test drive the new Tiguan Sport 4Motion at Autobarn VW of Countryside.